What Do I Do Now? 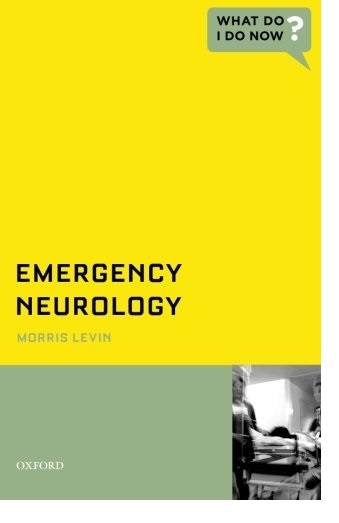 Emergency Neurology is designed as a resource for clinicians at all levels of training in all fields of medicine who treat patients with urgent and emergent neurological syndromes. It uses a novel approach focusing on the "clinical impasse" that so often occurs in complex cases, and emphasizes the creative intellectual process clinicians relish. 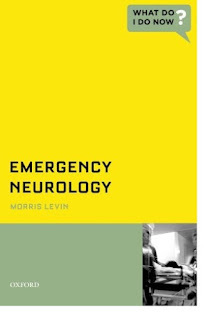 Authored by Morris Levin, along with colleagues from the Dartmouth-Hitchcock Medical Center, this volume presents 32 common urgent/emergent cases divided in to four distinct sections: (1) Diagnostic Questions (Adult), (2) Treatment Considerations (Adult), (3) Ethical, Neuropsychiatric and Legal issues and 4) Pediatric issues. The chapters are short and to the point, bearing in mind the increasing work demands on physicians. Thus, the approach in this book, as in the "What Do I Do Now? " series in general, is highly practical, logical and fun.